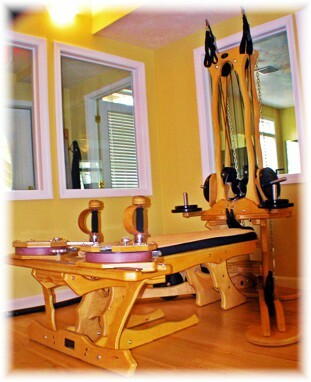 The GYROTONIC® method is an orginal, and unique movement method that enables simultaneous lengthening and strengthening of muscles, stimulates circulation, and enhances joint mobility, and coordination. GYROTONIC® exercise sequences are composed of spiraling, circular movements, which flow together seamlessly in rhythmic repetitions, with corresponding breathing patterms. WIth GYROTONIC® exercises, each movement flows into the next, allowing the joints to move through a natural range of motion without jarring or compression. These carefully crafted sequences create balance, efficiency, strength and flexibility. GYROTONIC® and GYROKINESIS® are a full body movement and energetic exercise system developed by Romanian born Juliu Horvath in the 1980’s. Julio was athletic in his childhood participating in swimming, gymnastics and rowing and later became a principal ballet dancer in New York and Houston. A career ending Achilles tendon injury was the catalyst that set him on a path to healing himself and the ultimate creation and design of the GYROTONIC® and GYROKINESIS® system. GYROTONIC® is an innovative exercise equipment system and healing practice that incorporates movement philosophies from yoga, dance, gymnastics, swimming and tai-chi. 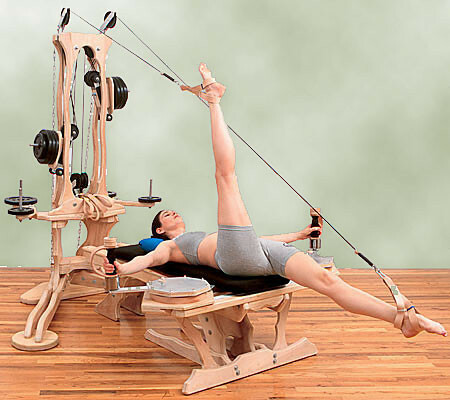 In contrast to most traditional forms of exercise and equipment, the exclusive GYROTONIC® system is based on three-dimensional, circular, continuous flowing movement utilizing a unique weight and pulley design for resistance. Each exercise is synchronized with a corresponding breathing pattern, which creates a gentle or vigorous cardiovascular-aerobic stimulation, depending on the intensity and speed of the execution. The motion patterns are natural, turbulence free and smooth with no interruption, resulting in a balanced support system for the skeleton as well as improving the musculature while at the same time mobilizing and articulating joints. 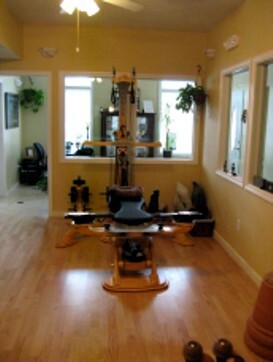 Among its many benefits, GYROTONIC® exercise strengthens and develops core muscles, creates expansion and decompression of the joints, improves posture and spinal alignment, increases blood circulation, reduces back, neck and shoulder tension and enhances athletic performance and mental focus. Our GYROTONIC® studio has two Professional Pulley Tower units and a Jumping-Stretching Board and soon to be added Leg Extension Machine. Classes are available for private or semi-private duets and are pre-paid scheduled sessions. GYROKINESIS® (original mat format from which Gyrotonic emerged) classes are available in group format. GYROTONIC® and GYROKINESIS® are registered trademarks of GYROTONIC® Sales Corporation and are used with their permission.